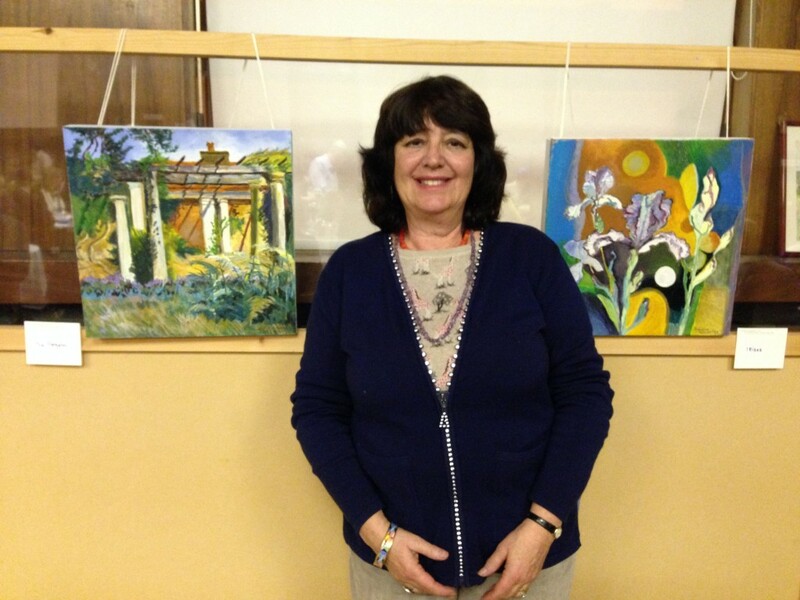 Sandra Berzon gave a pre kiddush talk about her career as an artist and shared the stories behind some of her paintings. She created a tempoary exhibition and gave us a wonderful insight into the inspiration to some of her paintings, the media and some of the complications of sketching and painting outside. Sandra works in watercolour oils and acrylics. She is inspired by music and dance and travel. She treats local subjects with an exotic touch. Sandra has been a member of Hampstead synagogue for over 40 years. Her parents were from Hungary and Austria, and she was brought up in an artistic and musical emigre society, hearing a lot of languages. She studied at Hornsey College of Art, Trent Park College, Slade Summer Schools and Hampstead School of Art and has a BA and Diploma of Education. She met her husband, David in the Zemel choir and got married at Hampstead Synagogue in March 1971 and they have been members ever since. Their son was barmitzvah and their daughter was married in the shul. Sandra was chairman of the Ladies Guild for 5 years and on the board of management for another 5 years. She and her husband have been involved in Bnai Brith for nearly 30 years, held 34 charity concerts in their home including some for the shul, have recently taken up bridge, studied with Ivor’s sister Sheila, and get regularly beaten by the Ostrins. Sandra does as much drawing and painting as possible, some of her work appears in the Hampstead Synagogue Toddlers Siddur. They love holidays especially with the family, including their wonderful 2 grandchildren. Camden Arts Centre, Mall Galleries, Ben Uri Art Gallery, Grolla D’oro Treviso Italy, awarded a silver medal, Rye Art Gallery, Sixty One Gallery, Fulmar Gallery, Hampstead Artists Council and LJCC Art House.